Following the new addition of running CCleaner actions on multiple computers, we've now included Defraggler so you can run a Defrag across all your endpoints in one step. So optimizing several computers has never been easier! 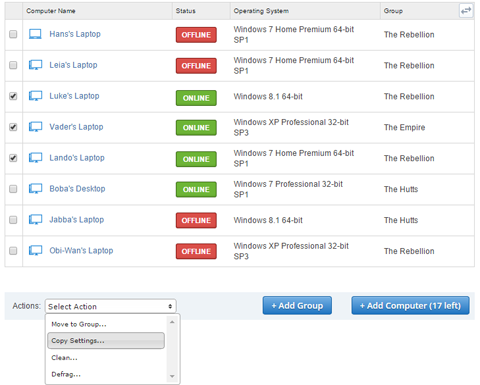 On top of this, we've added a great new feature which allows you to copy settings between machines- handy for multi-computer environments. We've also been working hard to make the Help Center more efficient with various performance and functionality improvements!